This was on a box running SUSE Linux Enterprise Server 11 SP1, with Lotus Notes installed as well as the Java 1.6 Runtime Environment. Running 'echo $PATH' showed that while the Java Runtime Environment was in our system/environment path, none of the Notes directories were. 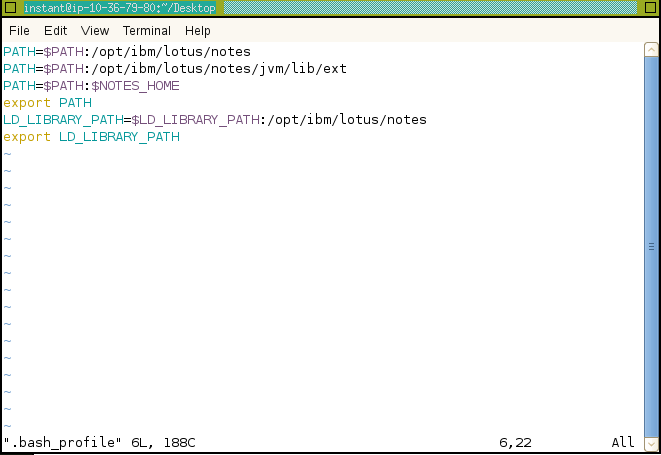 To do this we needed to add to the default path that SUSE provides each user. This is controlled in a few places, but, the safest place to make adjustments is inside the .bash_profile file (located in the users home folder, create this file if it doesn't already exist). After restarting our shell and running 'echo $PATH' we can see the new additions to our users path. Running the application gave us the same error as above, so we hadn't fixed it yet. 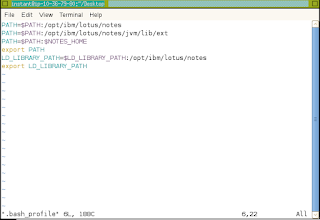 After investigating more into Lotus Notes, we found some more things that needed to be added to our path. Just replace after /home/ with the user name of the user to push the changes to.